Situated in the heart of Davenport Village comes the largest commercial development in Mount Hotham in over 20 years. Davenport Central, will be open to Mount Hotham visitors 365 days a year. 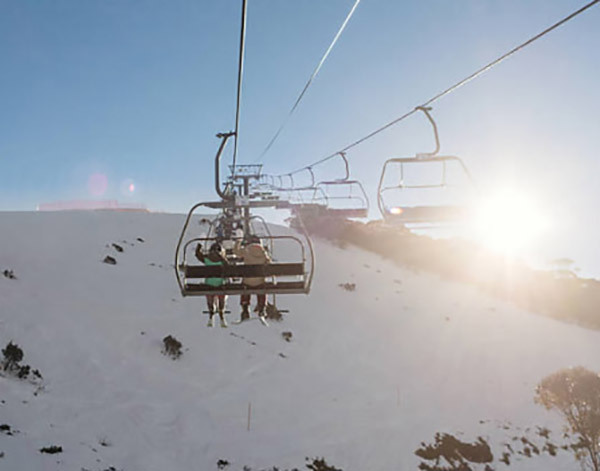 The ski in/ski out nature of the site in winter and the spectacular elevated views over the Victorian alps in summer will make this a “must do” destination. Davenport Central will feature resort style accommodation, year round retail and dining facilities, group accommodation for up to 80 people, undercover parking and huge outdoor plazas to soak up the views and pure alpine air. Davenport Central will become a vibrant new year-round hub at Mount Hotham. Exclusive penthouse and two bedroom apartments, commercial/retail spaces to suit your needs and undercover parking adjacent to The General Store and Big D Chairlift at Mount Hotham, Australia’s premier ski resort. Individual carparks can be purchased. Generous Retail and Commercial Space for Sale or Lease. Permits, Planning in Place. Within a hub; creating a new commercial/retail precinct at Hotham. The unique design of the building allows for conversion of common areas to cater for summer conference and group activities. Winter and summer rentals will be available through on-site managers. Davenport Central, to be located on the current Asgaard and Tantani lodge sites in the heart of the Mt Hotham resort with direct access off the Great Alpine Road is developing a new multi level, apartments, Member lodge and drive-in fully under cover carparking complex adjacent to the General Store, Big D chairlift and children’s ski school. Allowing for generous sized commercial/retail space available for sale or lease. Davenport Central will be located at the current site of Asgaard Alpine Club. Year round lodge accommodation at Mt Hotham. The lodge is a beautifully designed, comfortable, multi level, Member Lodge. Located just 50 metres off the Great Alpine Road in the heart of the Mt Hotham resort, our lodge offers year round accommodation considered among the most stunning mountain views in Australia. Book now at our website.